With so many different places where you can get married these days, a church wedding offers something special. It’s an opportunity to make your vows to each other before God, in public with your family and friends around you. God and your church are there for you to help you keep your vows and to support you in the months and years of marriage. You need to have some connection with the church where you get married and it’s good to look at the qualifying connections fairly early on when you are planning your wedding. There are a few things to discuss before your wedding date can be confirmed at Frenchay, so make weddingadmin@frenchaychurch.org.uk sooner rather than later to ensure you can synchronise the date with your reception venue. When you’re planning your wedding there is so much to think about. Marrying in church is personal, meaningful, spiritual and beautiful, just as you want it to be. 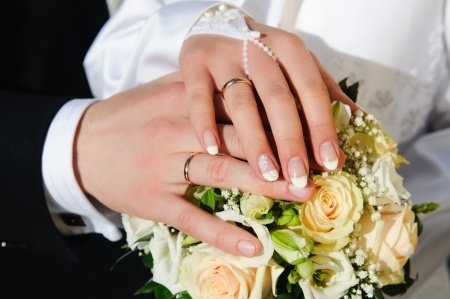 You can discover all you need to know about Church of England weddings and blessings here.